“All we need now is a prime minister,” said San San, shop owner and former student of Content Basic School during my visit this month. 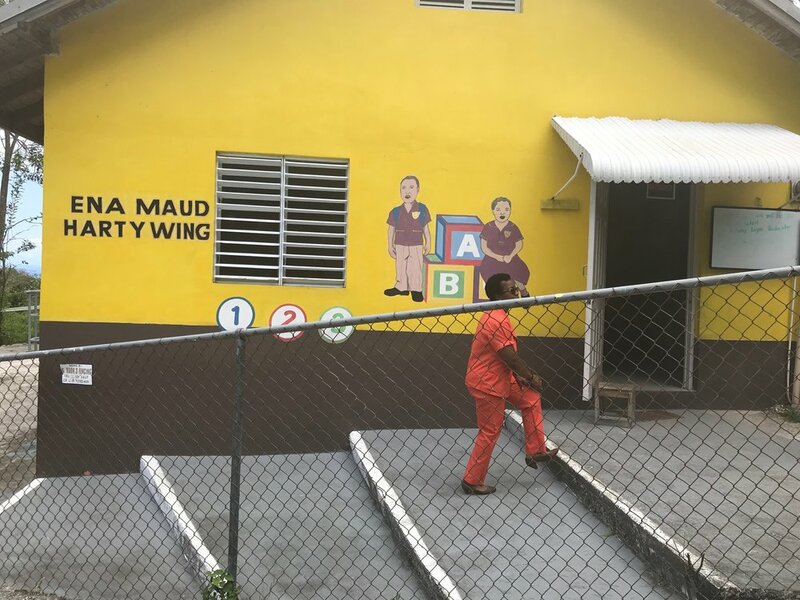 That’s because this tiny three-room school in the hills of Montego Bay, right down the road from Point of View Villa and Spa, has produced doctors, lawyers, accountants and business owners. But, make no mistake; while I believe that the children are naturally gifted, it takes teachers who care to nurture that talent. In December 2017, the Point of View team visited community institutions in our neighborhood to learn about local assets and aspirations. This was our first step in supporting community-based tourism—that is, tourism owned and managed by local residents. Our first stop was Content Basic School (we will tell you about our visit to a local farm in an upcoming blog), where we stood at the gate of this brightly-painted school and listened to the school’s chair of the board, principal and two teachers talk about the school’s history. A local church founded the school, and for many years the children were taught in one room. The first teacher Ena Maud Harty was known to be strict, but she cared deeply about education and the children. 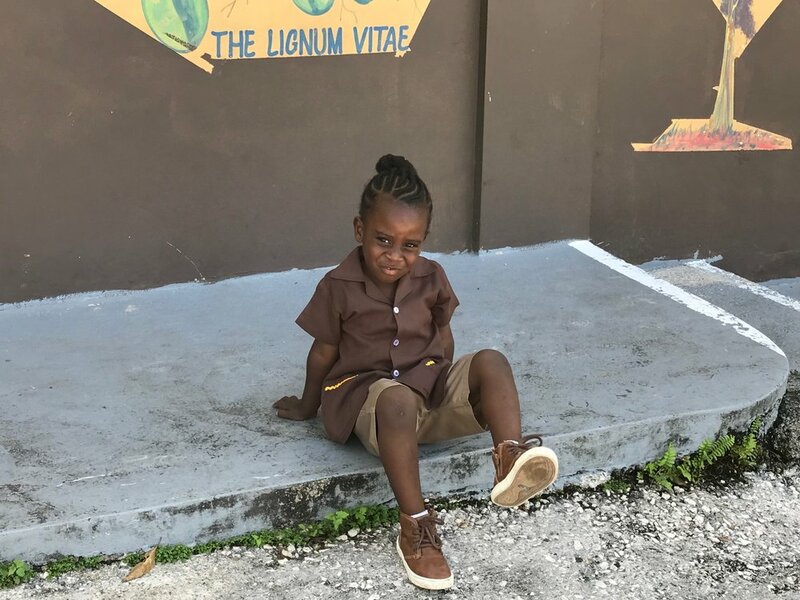 We learned that the land that the school sits on was donated, and through various fundraisers and sweat equity, the current leaders of the school were able to build a new school with two additional rooms to serve 30 children ages 3-6. I was struck by the fact that all four women standing before us sharing the school’s proud history were former students. What commitment! Point of View Villa and Spa has since rallied around the school, helping to raise funds to build a storage closet for teacher supplies and a fence to fully enclose the schoolyard so that the children can play safely and freely. We have also connected guests to the school. Our recent guests—a bride and her squad—donated white boards and dental supplies. I spoke to the bride this past weekend, and she said that her experience at the villa and school changed her life. It’s that kind of place. Click on the videos to hear the children recite the national pledge and sing the national anthem. It is a real treat! If you are reading this post and you feel led to connect with this school, email us at stay@pointofviewjamaica.com.